High radiation readings in Santa Monica and Los Angeles during a recent 42-day period from late December and to late January strongly suggest that radiation from the multiple meltdowns in Fukushima Japan is spreading over Southern California. This radiation, detected by this reporter and the U.S. Environmental Protection Agency separate from each other using difference procedures, does not appear to be natural in origin nor from radioactive fallout in rain. Evidence points to a uranium-packed nanoscale sphere called a “buckyball” just detailed in a new study of Fukushima melted fuel and seawater. The fast-moving radioactive molecule could likely be what this reporter and the EPA have been detecting, having made its way across the Pacific in the 11 months since the meltdowns began. Millions of tons of radioactive goo began forming when frantic efforts to cool the molten cores included spraying seawater into them, which further destroyed and corroded the stricken reactors. This unleashed even more lethal radiation into the ocean where the second strongest current in the world whisked it towards the West Coast and Southern California. The question is, have the buckeyballs arrived and if so, how are they going to impact the coast and points further inland? 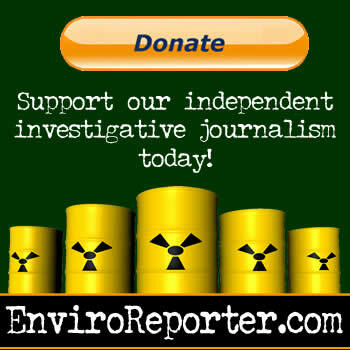 Since March 15, 2011, four days after the triple Fukushima Daiichi meltdowns in Japan, EnviroReporter.com has conducted over 1,500 radiation tests, many of which suggest that fallout in precipitation had the fingerprints of Fukushima. Many of these tests have detected increasing amounts of alpha and beta radiation, which unlike gamma rays that pass through a person, are particles that can get into the body and radiate causing cancer. 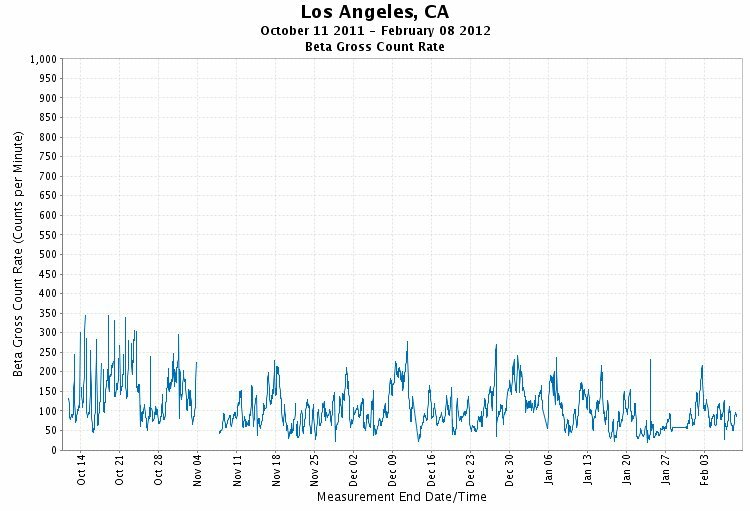 High alpha and beta radiation air readings in this reporter’s Santa Monica radiation station December and January were detected at the same time as the U.S. Environmental Protection Agency was picking up on spikes in beta at its undisclosed Los Angeles sampling station. Our readings, about 538% of normal, were 22% higher on average per day than the previous period for air captured in our HEPA air cleaner filters. Both sets of readings suggest radiation in excess of 5 times normal in areas of the Los Angeles Basin where we have concluded that no radon progeny is impacting the readings. Radon progeny are gaseous emissions of radiation from thorium and uranium occurring naturally in the earth. Radon daughters were not detected in half of the rain tested during this period that came in at background or less. In addition, we will show that radon has not historically been present in Santa Monica because of it geology and its proximity to the Pacific Ocean. 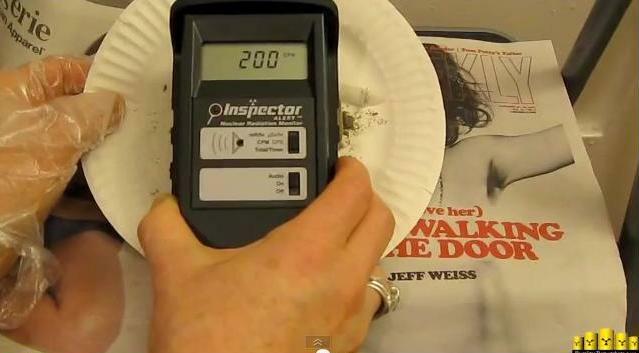 The spikes in alpha and beta radiation in HEPA filter dust after 42 days of use at Radiation Station – Santa Monica, shown in the videos A Whole HEPA Trouble #1 and A Whole HEPA Trouble #2, therefore are not attributable to radon progeny or background sources. Likewise with the high EPA RadNet spikes which also were too frequent to be electronic interference with the secretive location’s signal. Its graph of beta spikes indicated that the corresponding rain events didn’t make much difference in the wildly fluctuating high readings. This ionizing contamination wasn’t brought here by radioactive rain, sleet or snow, the most common type of fallout seen across North America since mid-March 2011. It is sea-borne goo making its way across the Pacific as Fukushima sits next to a Pacific current that rotates clockwise around the ocean past the West Coast. The just-released study shows how the enormous amount of melted fuel at Fukushima is transforming itself into durable and fast-spreading radiation moving across the Pacific towards North America on this current. The U.C. Davis investigation released last month looked at the impact of the millions of tons of fresh water and seawater poured onto the molten cores of the destroyed reactors. The conclusions were chilling. Nanoparticle buckyballs form as the water comes into contact with the melted fuel, which is intensely radiated, turning the water into peroxide. Buckeyballs are named after the American systems theorist and futurist Buckminster Fuller who invented the geodesic dome which the tiny particles resemble. Though uranium isotopes are heavier than water, buckyballs are lighter because of their shape which is similar to a British Association football soccer ball. This structure makes radioactive uranium isotopes more mobile. Buckyballs can hold 60 uranyl ions in these spheres that exhibit high mobility in water. 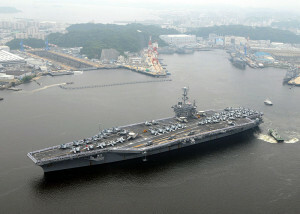 This is bad news because of its ability to spread Fukushima ocean contamination to Pacific Rim countries quickly. Equally troubling is that the study found that buckeyballs hadn’t decreased in ionization intensity after 294 days. 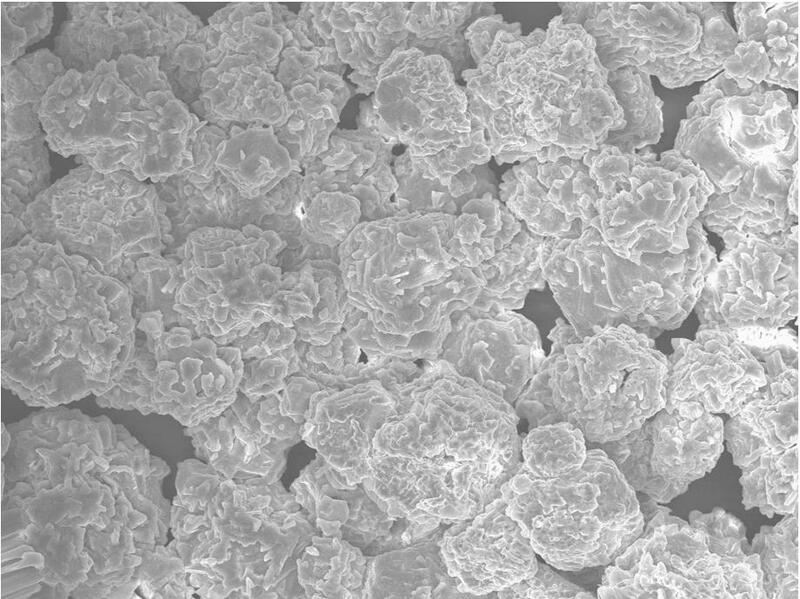 These hot nanoparticles, virtually indestructible, radiate and are a threat to anyone who inadvertently breathes them in where the buckyballs could induce lung cancer. Swallowing U60 buckyballs could also increase the chance of contracting cancer from its relentless radiation that is a so-called “bone seeker” that also targets the blood. The fuel to ferment production of these cancer-inducing buckyballs is plentiful. The three melted down Fukushima reactors, along with a fourth with a spent fuel pond precariously hanging out the side of a building, have over 2,381 tons of highly radioactive fuel. Over half of that fuel is in the spent fuel pond and is so radioactive that if Unit 4 collapses, which experts predict it will do, the contamination disaster will so intense that vast areas of Japan’s eastern coast could be destroyed. 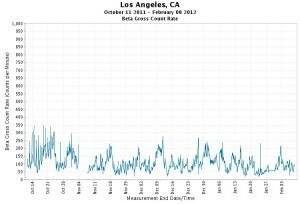 High levels of radiation recently experienced in Southern California air, as picked up by Radiation Station – Santa Monica and the U.S. Environmental Protection Agency in Los Angeles, showed significant spikes in radiation during the month of January. Both stations registered over 5.3 times normal though the methods of sampling and detection differed. Our sampling and testing allowed for the detection of alpha and beta radiation while the sensitive EPA instrument detected beta only according to an EPA website. Both stations are water proof therefore weren’t affected by the scant rain that fell during the month which wasn’t that particularly radioactive. Something else had to be at play, especially if the detections weren’t the result of natural radon daughters. A strong contender for the transportation and deposition of these alpha and beta isotopes is the most unlikely of toxic suspects – sea spray. Radioactive sea spray has been shown to blow kilometers inland in the United Kingdom along the Irish Sea. 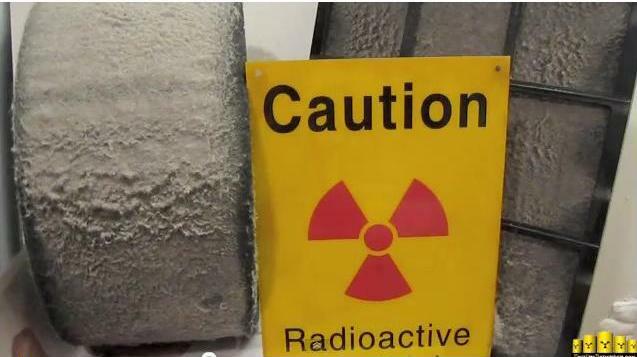 Cesium, plutonium and other nuclear fission radionuclides have been found blown 100 kilometers from the shore into Wales and Cumbria as we will further explore. Presently, the U.S. EPA and the National Oceanic and Atmospheric Administration have told EnviroReporter.com that they do not test for Fukushima meltdowns-related radiation. Both organizations referred this reporter to each other for information on Pacific Ocean testing that presently does not exist despite government officials’ comments to the contrary. The problem is real, however, a Pandora’s Box of pain and suffering that only the most lethal forms of radiation can cause. And it’s the worst at the seashore where millions of people play and millionaires live in properties adjacent to an increasingly hot sea. It’s not surprising that there is no attention paid to this increasing radiation. Public lack of awareness of Fukushima contamination in America and Canada is compounded by government proclamations that everything is perfectly fine. The unquestioning public and a silent media, for the most part, are content to buy it. The radiation detections and an 11-month EnviroReporter.com investigation say otherwise. The implications for the 44 nations of the Pacific Rim are grim, nowhere more so than sunny Southern California where the beach culture was invented and grew to the strains of the Beach Boys beginning 50 years ago. The implications of this discovery is as vast as the ocean and as huge as the amounts of radiation pouring out of the runaway reactors. The greatest poisoning of the largest body of water on the face of the Earth will determine the lives of billions of people. Generations to come will be affected by what people and governments do now in the face of Fukushima. The March 11, 2011 Great East Japan Earthquake was a magnitude 9.0 temblor on the Richter Scale and centered at an underwater depth of 20 miles about 43 miles east of the Oshika Peninsula of Tōhoku. It was the most powerful earthquake to have ever to impacted Japan. The shaker sent waves up to 133 feet high slamming into Japan destroying or damaging over 125,000 buildings in the island nation. The Japanese National Police Agency said that at least 19,166 people were killed or remain missing with over 6,000 injured. The World Bank has estimated the damage from the earthquake and tsunami to cost $235 billion which would make it the single most costly natural disaster in the history of the world. Soon after the earthquake, a monstrous series of waves, some as high as 40 feet, smashed into the Fukushima Daiichi nuclear power plant complex made up of six reactors along the coast, three of which were operating at full capacity. 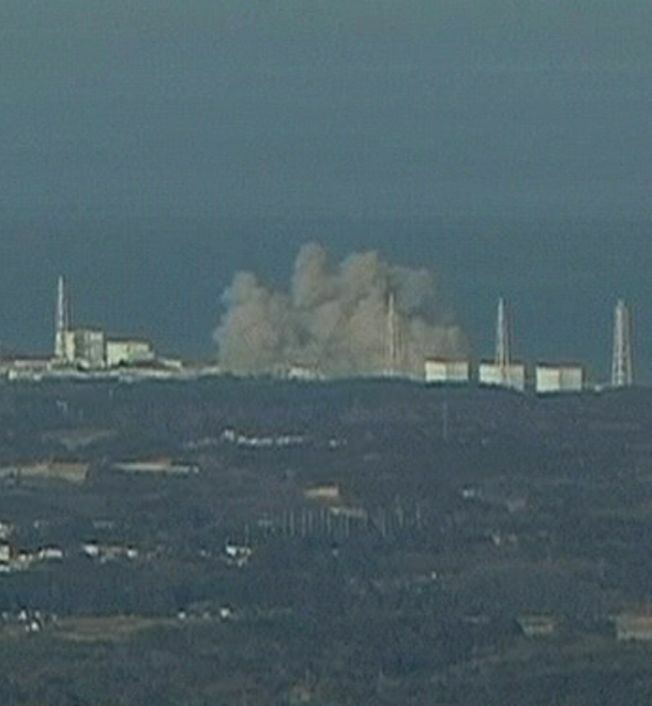 Shaking and wave destruction cut the complex off from the power grid sending reactors Units 1, 2 and 3 into total meltdown. 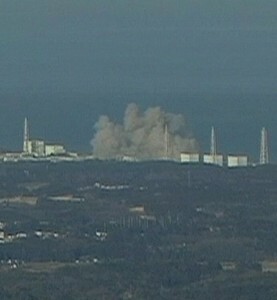 Two of the reactors were blown apart by hydrogen explosions. Unit 4, while de-fueled, also blew apart and is leaning precariously with the plant’s spent fuel pod, far more radioactive and concentrated than active fuel rods in a reactor, hanging out in the air threatening to crash to the ground. Numerous experts from Japan and the United States contend that if this happens eastern Japan and possibly even Tokyo will become too radioactive to be inhabitable. The Japanese government and TEPCO, the company that owns the Fukushima Daiichi, aren’t even sure what condition the fully melted reactor cores are in. The corium goo seems to have breached the reactor core and containment yet no one knows precisely where it is. Regardless, technology doesn’t exist that would be able to retrieve the melted fuel which is burning its way out of the reactor buildings. The three meltdowns have spewed trillions of becquerels of highly radioactive iodine-131, cesium-137, strontium-90 and plutonium-239 into the atmosphere and Pacific since day one of the disaster. This has resulted in fallout around the globe and especially impacting parts of America and Canada, two countries downwind of Japan on the jet stream. British Columbia, Pacific Northwest, Midwest and Ontario have been hit especially hard by rain, sleet and snow, in some cases with dizzying amounts of high radiation. Radioactive fallout in St. Louis rainfall, which has been monitored at Potrblog.com since the crisis began, has been repeatedly so hot that levels have been reached that make it unsafe for children and pregnant women. An October 17, 2011 rain storm was measured on video at 2.76 millirem per hour or over 270 times background. The U.S. EPA considers anything 3 times background to be significantly above background. The California Highway Patrol deems any material over 3 times background as a potential hazardous materials situation. Compounding the airborne fallout from the destroyed reactors, the Japanese government has embarked on a program of incinerating 5 million tons of radioactive debris trucked into Tokyo from the devastated prefectures. The incinerating, begun last October, will last until March 2014 with radioactive burning conducted all over the capital city of Tokyo which is home to over 13 million people. This will re-suspend some of the radiation that has already fallen out. 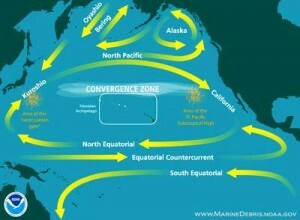 North America is directly downwind of Japan 5,000 miles across the ocean. This burn-mobilized radiation will likely fallout on the Pacific, U.S. and Canada along with the massive amount of venomous vapors that have escaped the ruined reactors for the last 11 months. Precipitation has been the predominant method of fallout from Fukushima in North America, unlike the dust, ash and ‘black rain’ that landed on thousands of Japanese survivors of the earthquake and tsunami. Among the first North Americans likely impacted by any radioactive air releases resultant from the burning goo would be over 18,000 Americans living in Tokyo. Thousands more are based at Yokosuka on Tokyo Bay as part of the United States Seventh Fleet, including over 6,000 sailors on the USS George Washington. The incinerated and compacted radioactive ash will be dumped into Tokyo Bay where, Japanese officials say, it will be perfectly safe. The main wave of water-borne radiation from the meltdowns, including highly mobile uranium-60 buckyballs, is surging across the Pacific along the Kuroshio Current. Sometimes called the Japan Current, it is known for its strong and fast flow clockwise around the Pacific second only in power to the Gulf Stream on the planet. Millions of tons of seawater and fresh water have been used to cool the melted cores and spent fuel rods generating millions of tons of irradiated water. The Kuroshio Current is transporting a significant amount of this escaping radiation from Fukushima Daiichi across the Pacific towards the West Coast. The warm waters of the 70 mile wide Kuroshio Current are responsible for the mild weather along Alaska’s south coast as well as coastal British Columbia. The current joins the North Pacific Current moving eastward until it splits and flows southward along the California Current. Unknown amounts of a massive flood of radiation is moving towards North America just as predicted in Radiation Nation and Melt Down Wind last March days after the meltdowns began. And just as predicted, the American government has done nothing to monitor the Pacific Ocean for over half a year even though a Texas-sized sea of Japanese earthquake debris is already washing up on outlier Alaskan islands. NOAA, the National Oceanic and Atmospheric Administration, suspended testing the Pacific for Fukushima radiation last summer after concluding that there wasn’t any radiation to be detected. In other words, no federal agency, department or administration is doing anything to sample and analyze water from the Pacific. Fish aren’t being tested for contamination either. Canada also ceased testing for Fukushima-related radiation last summer. The chief medical health officer for Health Canada’s Vancouver Coastal Health, Dr. Patricia Daly, went even further in dismissing concerns about Fukushima fallout in an October 13, 2011 email to a Vancouver constituent that was obtained by EnviroReporter.com. The Canadian government detected high levels of xenon-133, cesium-137, iodine-131 in different media and British Columbia rainwater was found to be hot before the authorities terminated testing. Millions of Americans and Canadians have been unknowingly impacted by Fukushima fallout. Even with the threat to the food chain, ocean health, and the glowing possibility that beachgoers and anyone within breathing distance of the sea will inhale toxic radiation, more folks are aware of Bay Watch than any beta watch by EnviroReporter.com or the EPA picking up meltdown effluence. Apart from valuable EPA RadNet air readings from major metropolitans – readings that have shown alarmingly high levels of radiation including beta – America has no testing programs of any kind for air, water, soil, livestock, dairy agricultural crops or processed food specifically for Fukushima radiation. Yet all the while the Kuroshio Current will bring more uranium-60 buckyballs as the main concentration of contamination flows ever closer to North America. Other radionuclides in the toxic goo included cesium-137, strontium-90 and plutonium-239 with a half-life of 24,200 years. Some Americans have been remarkably adaptable to the dearth of information about Fukushima fallout. News feeds like EnviroReporter.com-affiliated BakRad News have filled the void left by mainstream news concerns that have neither the capacity, scientific prowess nor even the inclination to cover this unfolding disaster as it literally descends on the United States. Nuclear experts like those found at Fairewinds Associates and Potrblog have explained better than the government what is happening in Japan and its fallout in the United States since the March 11 meltdowns began. Not surprisingly in light of the Japanese, American and Canadian governments’ representations that the meltdowns are in “cold shutdown” and that no effects of the fallout were or will be felt in North American, news organizations have treated the multiple meltdowns as old news. Other than a few bloggers and YouTube video posters with Geiger counters, radiation detections in the U.S. are limited to the EPA’s network which frequently is inoperative and always lacking in any analysis of the high readings picked up across the country. While sometimes extremely helpful, many gooporters lack the necessary knowledge of radiation science to get meaningful measurements or how to properly use their instruments without contaminating them. These people, who span the political spectrum from anti-nukers to Truthers, are getting better and more creative such as the popular “Fukushima fallout daily forecast” YouTube channel demonstrates. Failure of state and federal authorities to have been prepared for such a calamity – a nuclear disaster overseas that would impact the homeland within a week – made clear the need to immediately inform millions of people in real time with continuous radiation monitoring that could be trusted. 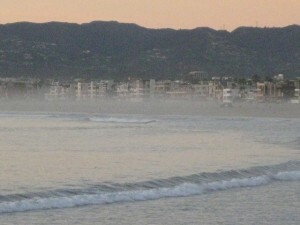 EnviroReporter.com responded to this need and began broadcasting Radiation Station on March 15, 2011 the ambient air readings in the coastal city of Santa Monica in the greater Los Angeles basin. Upwind of millions in the basin and the Inland Empire beyond, Radiation Station has grown to include Radiation Stations in Glendale, the Santa Monica Mountains and Ventura locally, with the Glendale station also streaming 24/7 with a live Inspector and a scrolling averaging display. Potrblog’s St. Louis base and a Harrisburg, North Carolina Radiation Station also share their precipitation readings in this free network updated frequently. All of these stations use Inspector Alerts. These highly sensitive monitors can detect alpha, beta, gamma and x-ray radiation in air, water and soil along with food and drink. Experienced operators can differentiate what type of radiation is being detected through tests for alpha, beta and gamma though not the exact isotope. Isotopic identification can be achieved through lab tests, which can cost hundreds to thousands of dollars per sample depending on how large a suite of radionuclides is being tested for. A more desirable, and trustworthy, method for radionuclide recognition is an isotopic identifier. This detector immediately identifies radionuclides obviating the need for multiple lab tests. Isotopic identifier are very expensive with the top Ludlum model costing over $25,000 with software and ancillary but required equipment. 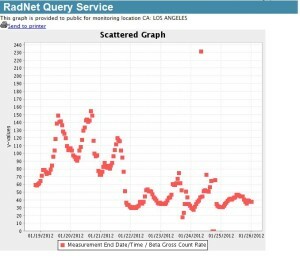 Regardless of the limitations, the amount of data generated by Radiation Station – Santa Monica since four days after the meltdowns began has been voluminous and illuminating. Over 1,500 tests in four states and miles about the Earth where we measured jet radiation over 5 times normal even accounting for altitude. Special tests revealed elevated radiation in Bryce Canyon and Grand Canyon rain. Southwest Michigan rain samples were hot. Santa Monica and Los Angeles rain and mist were also high. Japanese sake, beer, vegetable juice, seaweed, pastries and tea all registered significant ionization above background. Powdered milk, turkey hot dogs, and jet travel breathing masks were all part of the specific media tested many of which were recorded in these videotaped radiation detections. Establishing a comprehensive data set of interior and exterior backgrounds was crucial to this work not only to have the information but to more precisely and inventively use available radiation monitors. Experience gained from working with nuclear radiation monitors since 1998, crucial to reporting on Rocketdyne, Runkle Canyon and the nuclear dump on Veterans Administration property in Brentwood, has been valuable in maintaining high quality control and accurate readings and determinations. Radioactive fallout can come in several forms, such as the hot ash and debris that rained down on Fukushima residents fleeing the multiple meltdowns last March. Radioactive rains, particularly on the West Coast from the Bay Area to British Columbia, have rolled in repeatedly over the last 11 months. Driven by the jet stream eastward, the Midwest and Ontario have also been hit pretty hard by radiation if numerous online reports from folks with Geiger counters are to be trusted. YouTube videos drive home how hot some of these rains are. In Seasons Readings, we detected radiation in two different rain storms at about 561% and 650% of normal in Southwest Michigan Dec. 30. Bookending these sizzling showers were snow storms December 27 and January 1 that came in at background with no added radiation. This shows that Fukushima radiation on the jet stream can flux in amounts of radiation in precipitation. These rains also showed no sign of radon daughter decay. Rain without radon daughters was recorded in Santa Monica December 12 and November 12 of last year. The deduction that the precipitation was radon-free comes from the fact that the rain came in at background showing no additional radioactivity. Radon daughters or progeny are the radioactive decay product of radon, a colorless and odorless gas that occurs as uranium and thorium decay in the soil. Large regions of the country have high levels of radon gas which is dangerous especially when it’s allowed to collect in basements. Radon 222, bismuth 214 and radon daughters stick to dust and can be inhaled increasing a person’s risk of getting lung cancer. The progeny can also attach itself to rain. That in turn can lead to false readings of Fukushima fallout if progeny present is mistakenly identified as meltdown-generated isotopes. Not detecting radon daughters in rain in two states is significant. It means no radon was present. It also means that the radiation detections in precipitation cannot be dismissed as radon progeny when no radon or progeny existed. From the beginning of the Fukushima disaster, detections of radiation in rain and mist have been dismissed by a bevy of fallout naysayers saying that the radiation was “natural” radon daughters. The consensus among these people, and the governments of Canada and the United States as well, was that Fukushima was too far away from North America to pose any threat, let alone be detectable. This wishful thinking continues today even though it violates the very basic foundations of sound science practiced since the Renaissance which dictate that facts not opinions, or in this case pro-nuke posturing, dictate the reality that is Fukushima fallout and contamination of the Pacific. That was wrong. Radon daughters haven’t been inflating our radiation readings simply because there is so little radon in this area to make it even possible. Automatically assuming that radon progeny was affecting the readings was a mistake. Further investigation revealed why. The California Department of Health Services, as it was then called in 1999, conducted a yearlong investigation into the radon levels of 99 Santa Monica residences and released the results March 14 of that year. CDHS found that the radon readings were so minute that the department didn’t even suggest further testing of buildings or homes in the seaside town. This was not news to the local officials who were well aware that the city sits in a structural depression filled with alluvium and didn’t have the geologic features that would produce radon. 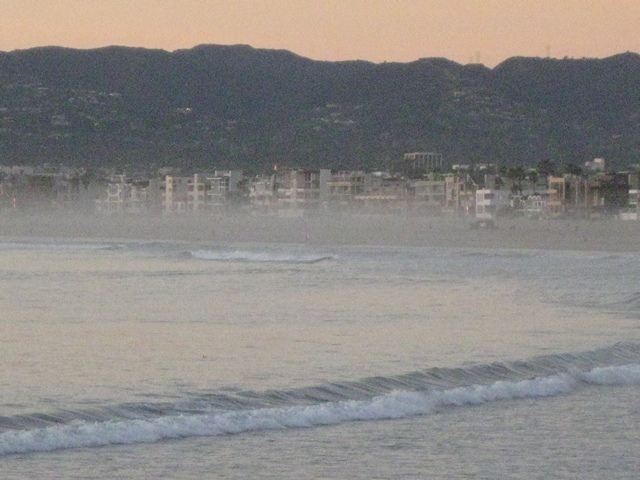 In addition, Santa Monica’s predominant wind direction, which dictates much of what will be in the wind, is from the ocean not from upwind land seeping radon gas. 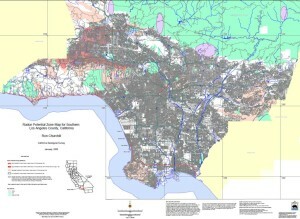 A detailed “Radon Potential Zone Map for Southern Los Angeles County, California” created by the California Geological Survey in January 2005 confirms that Radiation Station Santa Monica doesn’t appear near any possible radon or radon daughters source. Another common misconception about radon progeny-impacted rain is that it can double or triple background hence that amount should be subtracted from the total count. The higher the radon daughters count is, the lower the detection of any possible Fukushima fallout. Repeated non-detections of radon daughters in Santa Monica rain and Southwest Michigan snow, along with maps showing both areas to have near zero radon, indicates that any progeny from the gas hasn’t impacted detections in those areas. Radon daughters aren’t present in these areas. The ever increasing detections of alpha and beta radiation in Radiation Station – Santa Monica HEPA filter dust point to the most logical source of the contamination: Fukushima. Knowing how hot the latest sample was – about 5.38 times background – is powerful knowledge when there are ways to mitigate against it. HEPA filters capture more than just radiation, including radon and its daughters; they are effective against the kind of air pollution that kills nearly 10 percent of Los Angelenos according to an EPA study released last month on air quality exposure across the country. LA has the worst air in the country. HEPA filters can combat that menace. 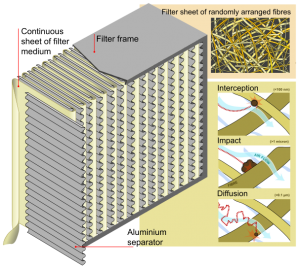 Ironically, the need to mitigate against buckyballs and Fukushima radiation arriving in the Pacific through using HEPA filters air cleaners at home, the office and in the car will save lives from other contamination pervasive in the environment. These filters also reduce odors, reduce the severity of allergies and improve environments, a paradoxical positive effect of the multiple meltdown’s sea of goo visiting our shores while it is destroying untold numbers of marine creatures. HEPA filters may also be effective in capturing ‘buckyballs,’ geodesic dome-shaped structures which is spherical with multiple flat sides. 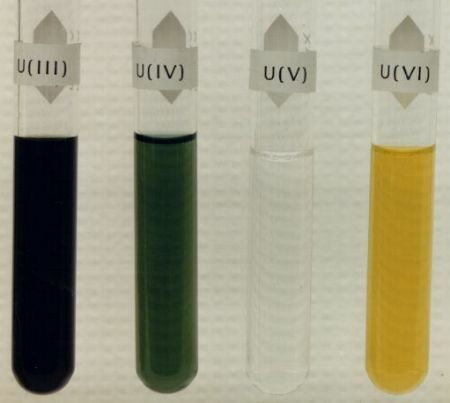 Strong evidence suggests that these hearty radioactive Uranium-60 nanoparticles have spanned the Pacific quickly with their concentrations rising. That evidence includes Radiation Station – Santa Monica’s hot HEPA filter readings and the EPA’s high beta readings in Los Angeles. 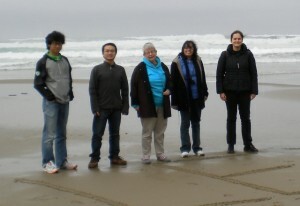 Our radiation station is a little over a mile from the Pacific shoreline. Downtown Los Angeles is over 13 miles away from the sea. The January 27, 2012 U.C. Davis report, “Uranyl peroxide enhanced nuclear fuel corrosion in seawater,” is the first account to analyze what is happening to the gargantuan amount of seawater, as well as fresh water, that has been hosing down the melted reactor cores and flushing into the Pacific. 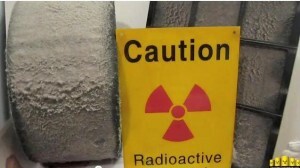 The majority of the fuel matrix at the Fukushima reactor complex is made up of uranium-oxide “whose behavior will largely dictate release of matrix-incorporated plutonium and various other radionuclides into water used as a coolant,” according to a full copy of the report obtained from one of the study’s authors, Dr. Alexandra Navrotsky. Navrotsky is the director of U.C. Davis’ Nanomaterials in the Environment, Agriculture, and Technology Organized Research Unit and the recipient of many honors since becoming a PhD at the University of Chicago in 1967. Those honors include becoming an Alfred P. Sloan Fellow in 1973 and Best University Paper Award, Department of Energy Geoscience Grantee Meeting in 2009. The report was a joint project of U.C. Davis, Sandia National Laboratories Department of Civil Engineering and Geological Sciences, the University of Notre Dame and its Department of Chemistry and Biochemistry. It appeared in the January 23, 2012 Proceedings of the National Academy of Science journal. This level of expertise and resources is crucial for understanding the full breadth of the problem buckyballs pose. No other peer-reviewed study of Fukushima fuel metamorphosis and mobility capabilities yet exists. The team of scientists found that water-soluble U60 buckyballs were created when water was spray directly onto the Fukushima fuel, at first fresh water then seawater along with fresh water. The intense radiation produced when the water hits the gooey ‘corium’ creates peroxide. Not only does the seawater turn into peroxide-creating buckyball soup, the salt water corrodes the melted nuclear fuel stripping it of the most dangerous radionuclides on Earth which end up in the ocean, a process that has gone on unabated for nearly a year. Buckyballs don’t need peroxide to continue to persist, according to the study, and can spread to exist in seawater out of the peroxide zone, dissolving or existing as nanoscale radioactive time bombs that will have the capability infuse the marine food chain. Naturally the reaction to news of hot Fukushima buckyballs was strong in the community of “raddies” that follow Fukushima meltdown developments. There is a strong possibility that these uranium peroxide buckeyballs are already sloshing around in the waters off of Southern California as our HEPA air filters appear to indicate. It has been nearly a year since this disaster started, the only kind of disaster that gets worse as time goes on. Fukushima is no exception with the extreme temperature spikes and Unit 4’s spent fuel cooling pool potential to topple to the ground if and when the leaning building collapses. If uranium-filled buckyballs, and perhaps other radionuclides, are offshore here and elsewhere on the Pacific Rim where high radiation of the sort we’ve sampled comes from ambient air not radon or precipitation, how do they get to our HEPA filter? One strong possibility may be ominous for the 40% of humanity that live within 100 kilometers of a marine ecosystem according to the United Nations Environment Programme. Radioactive sea spray has been shown to blow hundreds of kilometers inland in tests conducted in the United Kingdom by British and European researchers. 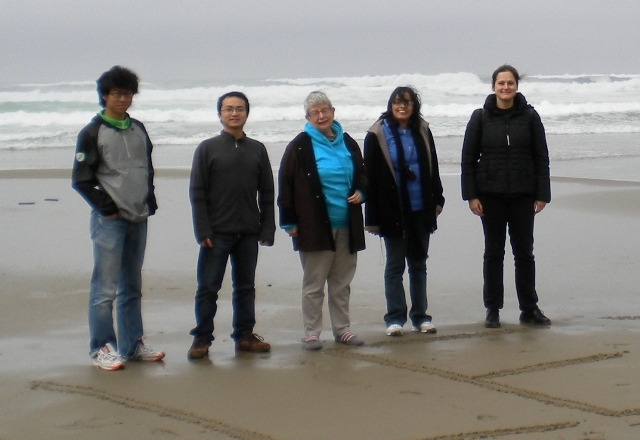 As one who has ever smelled the salty ocean air miles from the ocean might expect, salt in sea spray can travel a significant distance though it is far larger than what water molecules that it will precipitate around it before remobilization. The same holds true for radioactive particles floating in the sea even if it they aren’t of the U60 buckyballs variety. 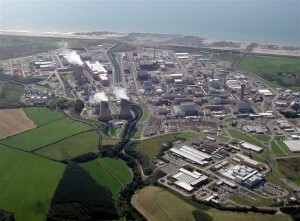 In the 2008 report “Sea to land transfer of radionuclides in Cumbria and North Wales: updating of previous investigations” by the Westlakes Scientific Consulting Ltd., of Cumbria, United Kingdom, researchers looked at the inland deposition trends at Nethertown, a burgeoning hamlet 10 kilometers north of the highly contaminated nuclear reprocessing site Sellafield which sits on the east coast of the Irish Sea. Sellafield was picked as a plutonium production plant by the British government in 1947 for nuclear weapons and before long a nuclear reactor site called Windscale Piles was constructed. For half a century, beginning in 1950, the place has been plagued by nuclear accidents. A fire destroyed the core of Pile 1 on October 1, 1957 releasing an estimated 750 terabecquerels (20,000 curies) into the environment. The goo included 22 TBq of cesium-137 and 740 TBq of Iodine-131. Until the Fukushima disaster, the Irish Sea was considered to be the most radioactively contaminated marine body of water in the world. One of the reasons, activists say, is that in the 1940’s and 1950s, a pipe carrying diluted radioactive waste out to sea pumped millions of gallons of hot goo into the once pristine waters. The Convention for the Protection of the Marine Environment of the North-East Atlantic reported in 2000 that an estimated 200 kilograms of plutonium had been dumped and pumped into the Irish Sea and ended up deposited in its marine sediments. Fish and cattle in the sea and around it were found to be contaminated by plutonium-239 and cesium-137 according to the study. The Westlakes investigation found that the greatest average concentration of Cs-137 and Pu-239 in soil at a depth of 0 to 15 centimeters was 10 kilometers from the coast. The highest average amounts found at 15 to 30 cm deep were 5 km away from the sea. A 62-page UK study released in December 2011 by the Manchester-based Nuclear Free Local Authorities (NFLA) is one of the most comprehensive analyses of the radiation problems plaguing the water body between the United Kingdom and Ireland. The government-affiliated citizen activist group has been in existence for 31 years. Knowledge of the Irish Sea and its surrounding communities, combined with sharp science paints a picture of an americium, cesium and plutonium-filled sea that is not pretty. Among the findings, sea spray and marine aerosols created from bubbles forming and popping when the sea is choppy or waves break have increased concentrations of radioactive “actinides.” Actinides are chemically alike radioactive metallic elements and include uranium and plutonium. One actinide infused the spray with 812 times greater concentration of americium 241 than normal amounts of Am-241 in ambient seawater. “Research demonstrates that the magnitude of the effect is dependent on wind speed and the volume of fine sediment particles (with their adsorbed radioactivity) ejected into the air in sea spray and aerosols,” the report reads. What it doesn’t include are uranium-filled buckyballs that aren’t attached to fine sediment particles as is the case in the Pacific. Buckyballs, which, as noted, may make up the bulk of the Fukushima meltdown goo that poisons the Pacific, would be extra in the West Coast sea radiation exposure scenario. The report cited information that sea spray-blown cesium 137 was found 200 kilometers from the discharge source in the New Hebrides islands in northern Scotland. The Cs-137 concentrations were so high that the bone-seeking radionuclide entered the food chain in island-grown produce so hot that the dietary doses were the same and higher than workers’ dietary doses at nuclear power plants. Studies found that the Irish Sea has a micro layer on top of it, perhaps only thousandths of a millimeter in thickness that can get imbued with fine particulate material and its absorbed radiation. These concentrations of plutonium and americium are four to five times their concentrations in ambient seawater. Plutonium concentrates by 26,000 times in floating algal blooms at sea says the report. NFLA describes “the enrichment of marine aerosols (generated by bubble production in breaking waves and the surf line) with non-soluble nuclides (associated by adsorption to fine sediment particles)” as the basis for creating the hot sea spray. The aerosols enriched are a witches brew of radioactive poisons including Pu-238, Pu-239, Pu-240 and Am-241. Some of the worst news comes in like the unperfect wave. Not only do waves help launch sea spray aloft but these “coastally generated aerosols may produce higher enrichment factors than those produced in more open sea environments,” says the report. Surfers, body surfers and swimmers, plus people and pets strolling along the sand, populate this the hottest zone of all. The 2010 Recommendations of the European Committee on Radiation Risk further explored the new realities of life where the silent killer could be the very sea spray people cherish as one of the joyful wonders of nature. In other words, it’s hottest at the shoreline not even taking into account this summer’s sizzling new beach pestilence, reactor core-hot buckyballs. That’s not the only thing killed. Last week the EPA eliminated federal funds to monitor the contamination in coastal and Great Lakes waters. These cuts come before as the agency crafts new beach water quality standards that environmentalists say gut the protections. Even before the cuts, there was no funding for testing for ocean and lake Fukushima radiation. The EPA and the state of California have no budget to monitor the iconic beaches of the Golden State for radiation from the Fukushima meltdowns already making its presence known in Southern California. Millions of people and billions of dollars are tied to the health of these waters and the coast. Given that potential cancers can take years to develop, and will never have a bar code stating “Fukushima,” it is the perfect crime where nuclear industry and government officials convince unknowing victims to be unwitting accomplices to their own detriment. It isn’t the Endless Summer anymore. It’s the Endless Bummer. Nuclear power is stupid anyway, but how much stupider to have a nuclear plant on a coast, where earthquakes happen frequently, and then not do jack about it for a YEAR when it blows up due to someone’s incompetence. Another informative article Michael that inspired me to research further. 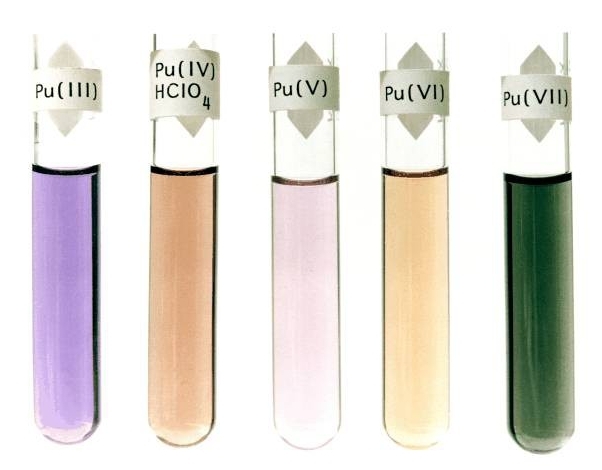 Please check out the National Library of Medicine’s ‘Toxnet’ pages regarding Uranium Peroxide (UP) and it’s progress after inhalation or ingestion. The article describes it’s solubility, primary effect on gut-mucosa-lung tissues, increased effect on people with acidic urine, emergency treatment for exposure, how people get exposed, etc. (UP) is a known carcinogen that readily targets the kidneys. Not mentioned however is the effect of uranium peroxide in buckyball form or how it might degrade depending on various other isotopes present (mentioned in your ‘Endless Bummer’ article). Take this for what it’s worth, after all, we are in uncharted territories now. I was looking for info on radiation from Japan and its connection to lung cancer and found your excellent article. The reason I was looking for the connection was that I recently found out that a relative of mine (by marriage) just discovered he has lung cancer that has spread to his liver. He lives in Washington state. He had become ill last spring and at that time, the doctors told him it must be tuberculosis. Now, a year later, they tell him, Oh, we were wrong about TB; this is cancer. Hmmmm. All this time, they could have been using alternative methods of curing cancer if they had been aware that radiation from Japan could have caused it in the first place. They must not have even suspected that his problem could be cancer. If only the officials had let people know of the very real dangers of fallout, this man could maybe have protected himself. Hey folks, enviroreporter has started to use the word “goo”. At first, I thought it was too simplistic. But as he continued to expertly describe various releases with the word “GOO”, I began to see its genius. Perhaps we’ve been getting the blank stares because we have said too many new words, too many large new words, all together. If you don’t have a science back ground that can really shut your brain down. EVERBODY has had to deal with a “GOO” of SOME sort at some sort of a time. It’s GOOeY, it gets all over everything, and it only gets GOOYER as you try to clean it up. Check out how he kinda throws it on as a repeating tag/meme/refrain. I am so gonna try that !!!! @Lennie: I sure hope some of that goo in and around the debris gets rad tested. @Potrblog: Thank you again for your excellent observations, sampling, testing and useful and possibly lifesaving warnings like this one. @Margery Brown: Comments like yours keep the (buckyball-free, hopefully) wind in our sails. Thank you. Maybe, if we come up with ‘cute’ names for this kind of stuff people won’t freak out as much. Maybe they’ll listen? 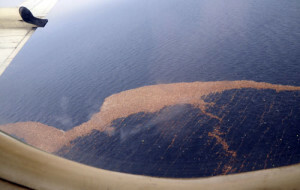 Maybe we could call the other contaminated ocean goo ‘Muckymuck’. Sounds like something one might order at a fancy restaurant. I’ll have an order of Buckyballs and a side of Muckymuck. Mmmm…. Seriously, most of us know this is just the beginning in the big (long term) scheme of this man made monstrous tragedy. There will be many new descriptors for this crap. But, will the ‘masses’ understand or care? Will the human race still be here in 200 years? I guess that’s just one of the questions at this time. I hope we learn from this, I pray we can correct it somehow. February 27, 2012: Full-hour show where many topics are covered as one year anniversary of Fukushima meltdowns approaches. Collins describes, drawing on his years as an investigative reporter and journalism judge, how the government and some mainstream media obscure and diffuse danger presented by world’s worst single environmental disaster even as new evidence shows that Los Angeles had the largest cesium-137 deposition after the meltdowns began March 11, 2011. A family member saw debris on the shore in Oregon above Brookings Harbor, while driving south on the 101 Oregon Coast Highway. He believes it was from Japan. He said that growing up in Oregon he would periodically see things wash ashore from Japan due to how the ocean current flows. Thanks for sharing your work! I only wish more would listen and learn! I am not surprised to see your findings, but was hoping beyond hope that just maybe it would not get this bad. As usual, shame on lame-stream media! Has anyone on KPFK interviewed you Michael? Please try sending an audio tape to “Roy of Hollywood” with a note and he might play it, and certainly should. 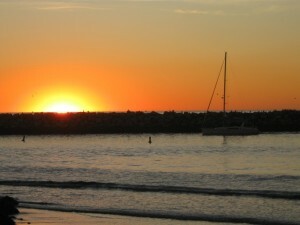 I will write a piece for the Venice Beachhead and have good reason to believe it will be published. The Unurban cafe’ is the political cultural hangout of choice, and a great place to connect with people. You must know all of that, and I must add, I have learned more than I knew from you, can I have shared so far. Decontamination is a priority, especially for my grandchildren. Anything on that? Great work tonight on Rense. I didn’t hear it all, but caught most of your comments. Michael….This is an amazing and incredible article you have written, and, needless to say,it is terribly frightening! It is absolutely shameful and unbelievable that EPA has packed up a lot of their equipment and announced that everything is o.k….no harm no foul. We are all just so very lucky to have you, Potrblog and the others who have been contributing to this website!!! You may very well be the only folks standing between all of us and and the “gift” from Fukishima….the one that keeps on giving. And, most wonderful of all, Michael, is your ability to write (understandably)about the science of what is happening to all of us. I predict that it will all make first a book, and then an Academy-award movie some day. Please keep your HEPA filter going 24-7. Well done Michael – a fine piece, very fine, with lots of important information and dates. Most people get angry at me when I mention the R word (radiation). I’m going to send them this piece to brighten up their day. QChad, I would think about hiking for awhile, or something else. It’s better than risking your very precious life. I know it is a loss, and maybe you can get hooked on another release and spiritual path. All of life is changing in every area, and we are all going to have to make adjustments, even beyond the fallout problems. do i stop surfing – the only spiritual getaway i have in life! Very good reporting on this. Thank you! Another well written powerful expose from MC. This is THE bad bad accident you drive by and better look @. Hi Lady!!! Good to hear from you. Our webmaster 😉 has fixed the problem. Hugs! Excellent. Thank you once again Michael for your comprehensive and informative work. Things don’t get no better, they just keep on getting worse. Many thanks for providing this is very important information. Guess I am going to have to get serious about moving off of the CA coast. 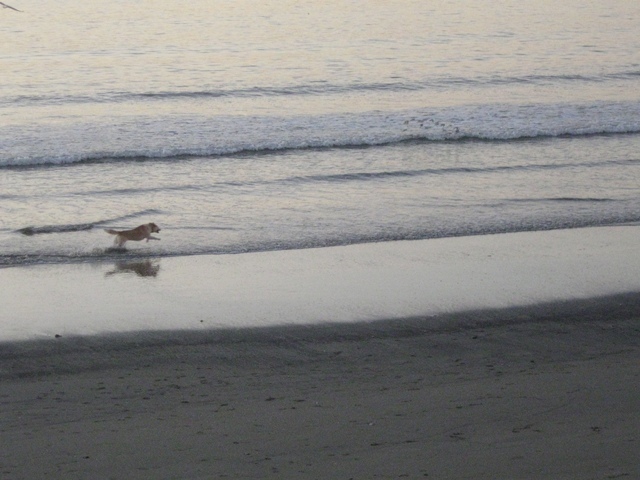 I live less than a mile from the Pacific Ocean. This information makes me believe that my HEPA filters, washing my vegetables in bentonite clay and other measures are not nearly enough protection. 1. Folks to help you collect data in different locations! 2. Folks that want to learn how to collect data. 3. Folks that want to share a detector but cannot afford to “own” one. Sixteen blocks from the beach is where I live. This puts a new light on coastal living. 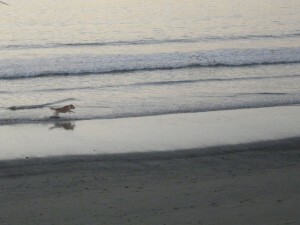 I haven’t walked the beach in months, mainly after March 11. I am assuming the Inspector won’t be strong enough to measure the buckeye balls? Time is coming where wearing respirators may be the norm. But not after many are convinced of the associated death rates. Excellent article. Informative, with far-reaching implications. An insidious tide of radioactive pollution is threatening the coastal areas of North America. I won’t be able to visit the beach areas of Southern California without thinking about this new risk. Thank you, Michael, for your excellent research, and bringing this to our attention.